Experiential marketing agencies have certainly been kept busy this year and it’s not hard to see why – these days, consumers are increasingly fussy about where they shop with and who they give their money to, so brands have to be one step ahead all the time. Experience-based ad campaigns will always prove to be a winner because they’re immersive, because they’re engaging and because, for the most part, they’re fun. Here are just five of the very best examples to have come out this year. According to B&T, Spotify will be hitting over 30 regional and rural towns along the east coast of Australia as part of its pool party-themed experiential campaign. A custom branded truck will be in evidence with an interactive photo booth, traversing the country right up until Christmas. You can win on-the-spot prizes and have your picture taken in the photo booth. “We know that some of our most engaged users call Australia’s much loved regional towns and coastal digs home. That’s why we’re taking the Spotify streaming experience on tour this summer,” consumer marketing director Serena Leith said. The chocolate giant has been targeting demographics of all ages all year with all sorts of amazing and inspirational marketing campaigns. During Fresher’s Week in September, for example, it toured the UK with a Double Decker bus that came complete with a fun slide, ball pit and lots of chocolate. Sounds good to us. Thinking outside the box and coming up with something a bit shocking or perhaps a little bit at odds with your product offering is a brilliant way of drumming up interest in what it is you do. The Economist is case in point. This year, it decided to engage in a few experiential PR stunts, serving insect ice cream to help bring its content to life for readers and drive interest in the publication. “Through using our content and turning it into an activation we can speak to our readers in a much more interesting way, interest them in the product, surprise them and then hopefully convert them to subscription,” retail marketing expert with the magazine Marina Haydn was quoted by the Drum as saying. One of our favourite experiential campaigns came during the summer thanks to Deliveroo, which held a pop-up garden and picnic experience in Hoxton Square in London to encourage people to head out of the office to enjoy their lunches al fresco style. DJs and deck chairs were in situ, with people able to have food delivered at the garden using the Deliveroo app. Plus there were free cocktails on offer for those who spent £10 or more. Coming up with a relevant idea for a festival is another great way of getting people interested and excited in your brand. 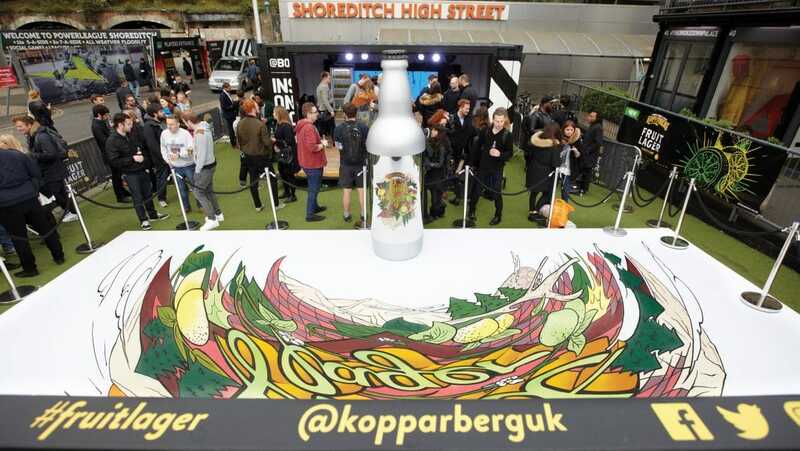 Kopparberg’s Urban Forest festival toured all over the UK, playing at some of the biggest music events of the year, with two woodland bars available and emerging artists and DJs appearing on the brand’s stage. As one of the UK’s top Experiential Marketing Agencies we’re always looking to help brands create exciting and engaging brand experiences. If you’d like to speak to us about how we can help you bring your brand to life please get in touch with our new business team: ideas@ambientww.com.